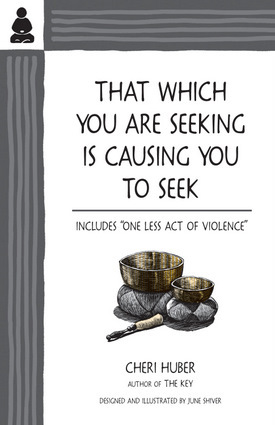 The teachings of Zen are presented to Westerners in this book, which is comprised of many short sections accompanied by illustrations on subjects ranging from compassion and meditation to death. The concepts of "subpersonalities" (the many aspects of the personality) and "projection" (the notion that the entire world is a mirror of who we are) are introduced. Readers are encouraged to consider that they see the world the way they do not because the world is inherently that way, but because of who's looking. Seeing ourselves as having many different parts helps us make sense the the whirling mass of contradictions we sometimes experience within ourselves.